Two significant resolutions were passed at the Executive Board this Monday, and a third was unfortunately tabled. We passed a resolution calling for the integration of arts education into school curricula and a resolution supporting the NAACP call for a moratorium on charter schools. MORE/New Action successfully amended the arts resolution by adding clauses encouraging the union to connect with parent and community groups and to expand high school arts electives. David Garcia-Rosen made a passionate case for a resolution addressing mass incarceration, which he identified as the civil rights issue of our time. There was more debate than I’ve yet seen at an Executive Board meeting, but the resolution was ultimately tabled. The meeting started with the open mic period. A chapter leader shared her gratitude to the union for supporting her and her chapter when they lost a coworker, who unexpectedly passed away. Next, a music teacher from PS 79 in Queens, a former staff sergeant, spoke out on the ramifications of the evaluation system for arts teachers. She said, “I love teaching music — it doesn’t matter who it is, I can make them play. My problem that I’m coming to you with today is this: I’ve always been highly effective, effective. A new administration came in and I received a lower rating.” Turning to the evaluation system, she asked, “How can we get these educators who don’t understand the arts to receive some kind of professional development of how to actually observe music and arts teachers?” She shared that she had contacted Charlotte Danielson and told her that the Danielson rubric worked on an honor system — it makes it too easy to harass and target educators, particularly arts educators. Secretary Howie Schoor noted that a resolution about integrating arts education into school curricula was up for debate. The open mic period closed and the board approved the minutes of the previous meeting. Unfortunately, the incentive does not apply to ATR social workers or guidance counselors. Later in the meeting, Howie suggested this may be because of the Single Shepherd program, which has meant more ATR counselors have been assigned places with schools in the two pilot districts. Schoor then invited MORE/NA’s Arthur Goldstein to report back on a meeting in Queens regarding class size and space issues. Arthur reported that chapter leaders from four Queens schools met with the city. At the meeting, the DOE said they have money to create seats. They were inclined to extend existing schools and build on DOE property. They recently suffered a setback in Bayside when the community rose up against the school they wanted to establish in Bayside. There does appear to be some progress on this issue and possibly a way forward. Queens is the borough most affected by overcapacity issues. Howie gave a brief update from a few other locals — both CTU and the Buffalo Teachers Union have negotiated contracts. MORE/NA’s Mike Schirtzer then asked whether we were changing our policy on charter schools, given the NAACP call for a moratorium. At this point, we weren’t aware that a resolution had been added to the agenda addressing exactly this question. The question period was followed by reports from the standing committees and the districts. In brief, the Making Strides breast cancer walk was a success, as was a Soles4Souls shoe drive. In November, the union will be hosting its Thanksgiving luncheon in partnership with Coalition for the Homeless. There’s also a vacancy on the board for a functional chapter representative. They’ll be accepting nominations at the next Executive Board. The Legislative Report from Paul Egan followed. Here’s what I got from it — in the last push before the election, there are multiple buses heading to Pennsylvania. Showing up is important, so if plans change, notify them so the campaign can redirect resources. Here in New York, you can continue phone banking. Egan also commented further on our COPE contributions, connecting the contributions to concerns about a possible constitutional convention bill next year. According to Egan, “if they do that, that would mean New York state’s constitution would be thrown out. Our pension has constitutional protection, but if we throw out the constitution, we lose that protection and it goes to the legislation. That’s why I’m stressing it’s more than just an endorsement or donation to one candidate — it’s not a single party issue.” Egan’s argument is that to protect our pensions, we need to uphold the current constitution, which means we need to support Republican senators, even if they’re generally opposed to the very policies we lobby for. Leroy proposed an amendment accepting two of our “RESOLVED” statements, but striking the one about negotiating increased time for arts education. This amendment passed. Jonathan Halabi gently reminded Howie that we needed to vote on the actual resolution — Howie quipped, “I knew I voted for you for a reason.” The resolution passed. Following this, Anthony Harmon, executive board representative and president of the New York branch of the NAACP, motivated the resolution in support of the NAACP call for a moratorium on charter schools. Jonathan rose in support of the resolution, noting that it was a significant moment in our union’s history. He added, however, that “Going forward, I do think we need to dig deeper and look at the issues,” indicating that the language of the resolution could have more explicitly made the case for public schools. The resolution passed. “My name is David Garcia-Rosen. I am the Director of School Culture and Athletics at the Urban Assembly Bronx Academy of Letters, have worked in NYC public schools for 19 years,and I am on the HS Executive Board here at the UFT. I am also the grandson of five survivors of the Holocaust. I grew up in my Grandparents house in Brooklyn, hearing stories about how the Nazislocked them up, starved them, beat them, and killed almost our entire family. The stories were horrific and I always wondered how could this have happened. Could everyone in Eastern Europe have been so evil to have just stood around and let this occur? As a history teacher I wondered this all the time. How do the most horrific things one can imagine happen? Why didn’t the good people use all of their resources and power to stop slavery, segregation, Jim Crow, and countless genocides around the world. But today I am in a room of good people and the question we must ask ourselves is what are we doing to stop the mass incarceration of people of color in the United States of America. How can we harness the incredible financial and political resources of the UFT to become an ally in the civil rights issue of our generation. On October 7th Netflix released a documentary that shines a bright light on the historical connection between slavery and mass incarceration. It demonstrates clearly that the 13th amendment was never intended to actually set anyone free, because it included the clause that if you were convicted of a crime you could be enslaved. It took seconds for this clause to be exploited, as people of color have been locked up for every imaginable reason ever since, while white people have the privilege of a totally different criminal justice system. This has led the so called land of the free to lock up 25 percent of the worlds prisoners despite having only five percent of the world population. We now live in a country where according to the NAACP African Americans are incarcerated at nearly six times the rate of whites, and if current trends continue one in three black males born today will spend time in prison. We live in a country that has 2.3 million people locked up behind bars. This mass incarceration of people of color is having profound effects on the lives of the students we all teach and we all love. According to the New York State Government 105,000 children have a parent serving time in prison. According to the journal of health and social behavior, children with incarcerated parents have higher rates of attention deficits, behavioral problems, speech and language delays, and other developmental delays. We as a union can no longer stand idly by and allow this to occur. I for one plan to use my three year term on the executive to push the UFT to use all of its financial and political clout to fight for the civil rights of our students and their families. Now I know many times resolutions here get tabled, never to be heard from again. I also have seen time and time again that everyone here votes as a block based on caucus. Today I urge that to change. I urge everyone in here to vote their conscience. Vote in a way that will allow you ten years from now, to look into the eyes of your children and grandchildren, and say I did everything I could to stop the mass incarceration of my black and latino brothers and sisters. If there is any problem with this resolution it is that it does not do enough. 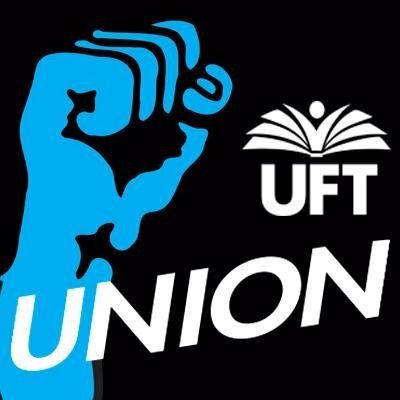 It simply asks for Netflix to be unblocked, the union to allocate $50,000 for curriculum development about mass incarceration, and for the UFT to screen the movie 13th in every borough. This must only be a start. One of the most powerful scenes in the movie Schindlers list is at the end, when Oscar Schindler looks down at his gold pin and car and cries about how he could have saved more people from being killed. Schindler says “I could have got more, I don’t know. If I just…I could have got more. If I had made more money. I threw away so much money. You have no idea. If I just. I didn’t do enough. This car. Goethwould have bought this car. Why did I keep the car? Ten people right there. Ten people. Ten more people. This pin…two people. This is gold. Two people. He would have given me two more, at least one. One more person. A person, Stern, for this. I could have got one more person, and I didn’t! I — I — I — I didn’t! I didn’t do enough. Ultimately, the executive board voted to table.